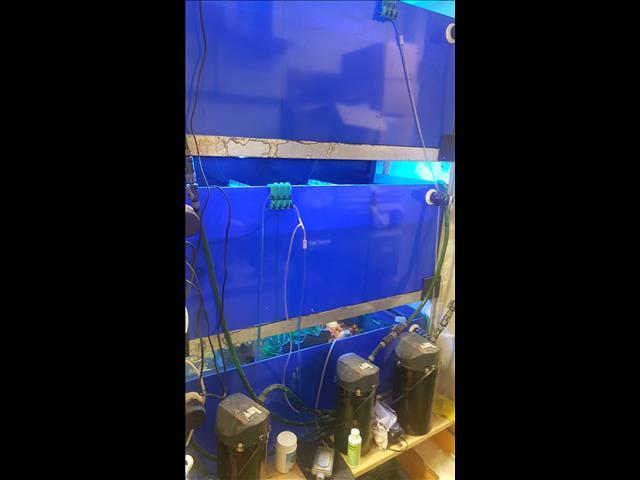 We are selling our display tanks - there are 3 tanks each one measuring 114x45x40cm; each tank has its own canister filter and there are lights for each row. 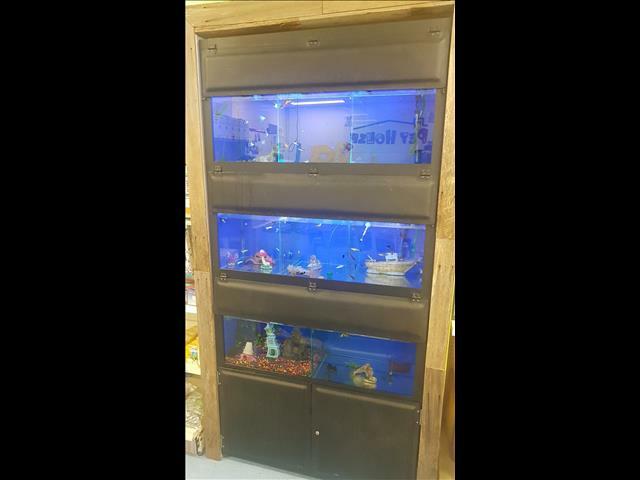 Tanks sit on galvanised frame and storage beneath. 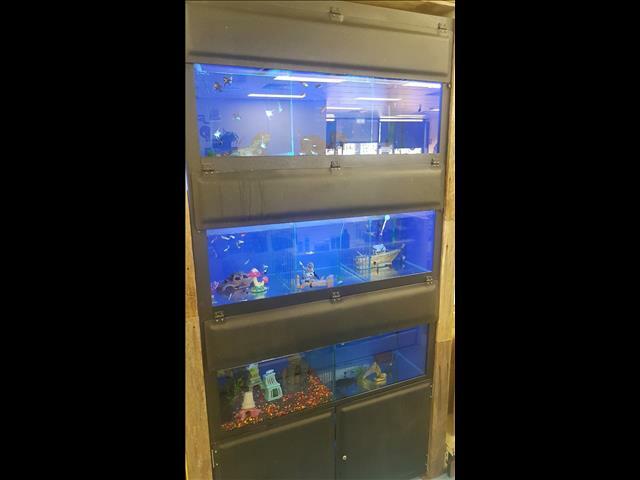 Tanks can be linked with gravity filtration, but canister filters keep each row separate.The glass is quality - thick and clear, giving a great viewing perspective.Highest quality build - designed to last in a gruelling retail environment.We will consider all reasonable offers.Overall dimensions of unit are 118cm wide, 242cm high, 55cm deep..